At DebtAware, we want to maintain high standards throughout our financial education work. That’s why we have put in place an accreditation process, which allows us to recognise those schools that meet the standards and really embrace the ethos of the programme. The school’s senior leadership team should have a thorough understanding of and involvement in the operation of the programme, including championing it with Governors, parents, pupils and other schools. The programme should be embedded into the next School Improvement Plan. The class teacher should act as a supportive Teaching Assistant during the lessons delivered by Money Mentors. At least one extension task should be completed and retained by the class, per module. Time should be set aside for a baseline assessment to be carried out at the beginning of Year 5 and 6, along with a short end of year questionnaire for evaluation purposes. 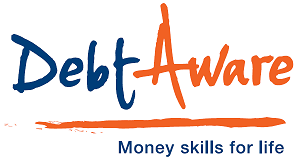 The school should act as an ambassador for the DebtAware Money Management Programme. Click below to download a PDF document describing the accreditation process for primary or secondary schools.